The Walking Dead returns to TV after one of its most brutal episodes. How did the episode hold up? Was it even more heartbreaking than the last? And what's up with that tiger? Let's find out. This episode was so... strange. After the brutal beginning to the season, it was actually refreshing to be able to laugh through nearly an entire episode. Shall we dive in? I loved this character the moment he appeared on screen. He seems so over-the-top and lost in this fantasy world that you wonder how he became the leader. And to make it even weirder, he has a pet tiger. There are so many strange things about him, but it was interesting to see how much of it was the illusion he felt he needed to create for his people. Ezekiel’s leadership fascinates me. He wasn’t really a leader before the apocalypse—he was a zookeeper and an actor—but he is able to use rumors and appearance to his advantage. He knows people need hope, routine, and the feeling of safety, even when the world is anything but safe. But he also knows the value of secrecy and subtlety (as we see in the pig situation with the Saviors). Another thing I found interesting is how Ezekiel wants his people to be properly trained and prepared for the world beyond the wall and only have one really inexperienced person in the group at one time, as opposed to several (as we’ve seen in Alexandria). I also like how he is teaching them to be prepared and not to live in total fear. Despite all the illusion and weirdness, I think Ezekiel really does want to see the people in the Kingdom live. The Kingdom is obviously a thriving community—even more so than Alexandria. They have food, gardens, horses, school, and even hobbies. They have a lot of kids in their community, which is amazing. The people within the Kingdom are actually living, and they are living almost like they did before the world fell apart. Stepping into the Kingdom is almost like stepping out of the apocalypse, and it is one of the strangest things I’ve seen on the show (much like the first party Rick’s group attended in Alexandria back in season five). It’s a surreal place in a dark world, but it seems to have been around for a while. I’d like to see more of how the community was founded and structured. The people in the Kingdom, for the most part, have hope. And I really love that. I’m looking forward to seeing more of this place, to see just how strong they are. They’ve already encountered the Saviors and pay tribute, but they don’t seem to be in total submission to them. When Ezekiel insists Gavin tell his guy to stop fighting, Gavin obliges. Usually, there’s more antagonism from the Saviors as a whole, so I’m curious why Gavin didn’t refuse Ezekiel’s request. 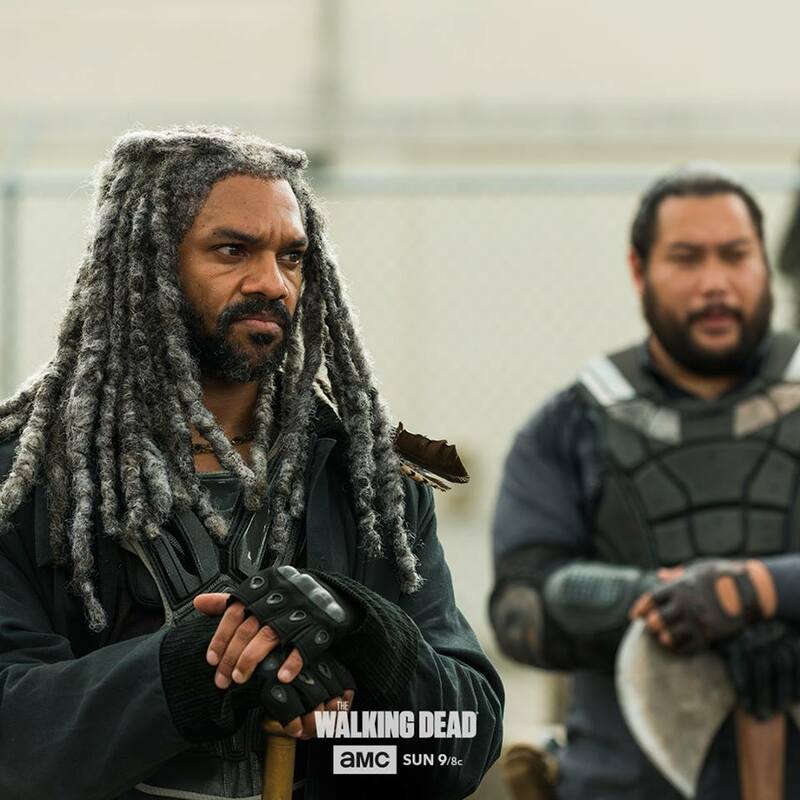 Are some of the Saviors less inclined to brutality when Negan isn’t around to see? Are they afraid of Ezekiel? What else is going on there? The dynamic between Carol and Morgan is so interesting, and I like how they can disagree, but also still see the other person’s point-of-view (though their differing reactions to the Kingdom are so fun—I love their interaction over the strangeness of it all). They haven’t known each other long but they have been through a ton of stuff together, often on opposing sides. To see them still look out for each other in spite of this is really cool. I’m eager to see how Morgan continues to integrate with the Kingdom and what his role will become. I’m also hoping to see Carol eventually become part of a group again, rather than distancing herself so much. - The Kingdom has its own version of the Rohirrim and that is pretty awesome. - SHIVA. She looks amazing. - Jerry and his puns are my new favorite. - Overall, I enjoyed this week’s episode despite the strangeness (or maybe because of it?). There were hints of darker things to come, but it was refreshing to watch an episode without dreading which character would die by the end credits. Um... who are you, and what have you done with The Walking Dead? In all seriousness, this episode gave me tentative hope for this season. It was actually funny--especially Carol's possibly fake yet totally perfect reaction to the Kingdom. "I have no idea what's going on... in the most wonderful way." And, most of all, this episode was filled with... hope! What is this? Am I even watching the same show? 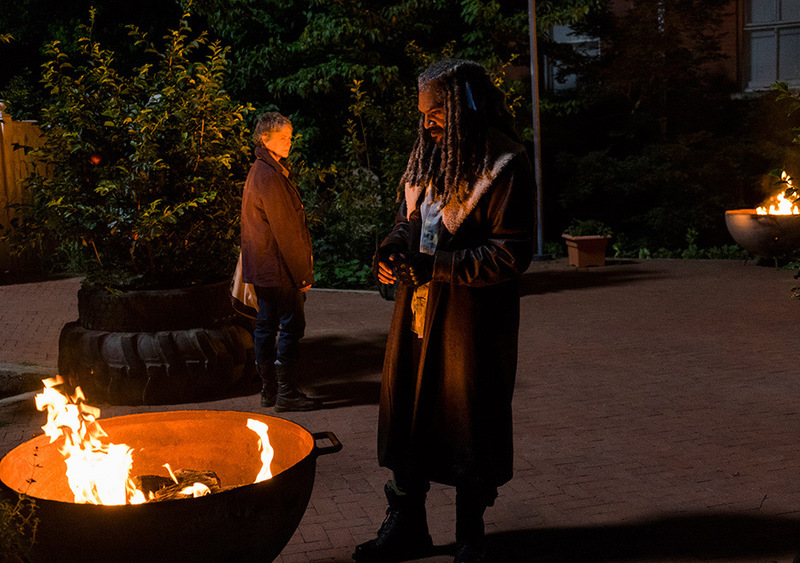 My favorite part of this was Ezekiel (and his vibe with Carol--I kind of ship it). 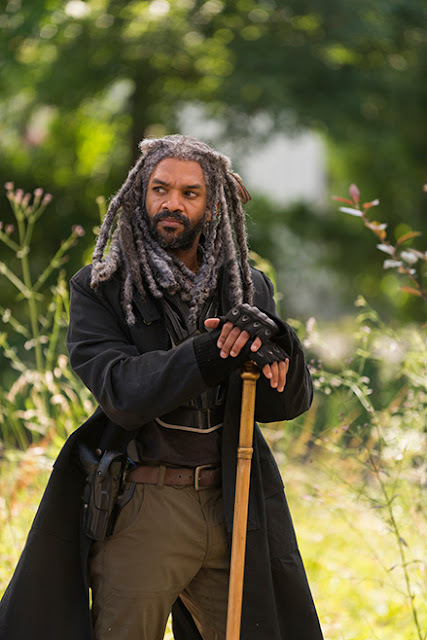 There were some really good moments in this episode, especially when King Ezekiel talked about hope. 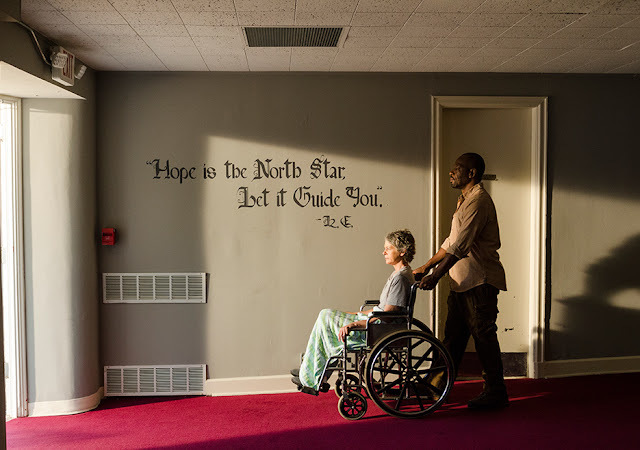 My main complaint with TWD is that it seems to have lost its humanity, but this episode definitely showed me that somehow humanity, life, and hope still exist in this world. I liked seeing the Kingdom, which is established and functioning a bit like pre-apocalypse society (though dude... major Woodbury flashbacks). I know the Kingdom will probably all go downhill (yet again) and the happiness probably won't last, but it was a really nice reprieve. Overall, I don't have much to complain about. TWD regained a bit of my trust with this episode. It was nice to be laughing every two minutes instead of crying or cringing. Well done, TWD. Have you seen "The Well"? What did you think of it?